The next Masters of Asian Cinema film is director Nuri Bilge Ceylan’s 2011 feature, Once Upon a Time in Anatolia, which screens on Tuesday, Feb. 12 at 6:30 p.m. at Pickford Film Center, 1318 Bay Street in Bellingham. 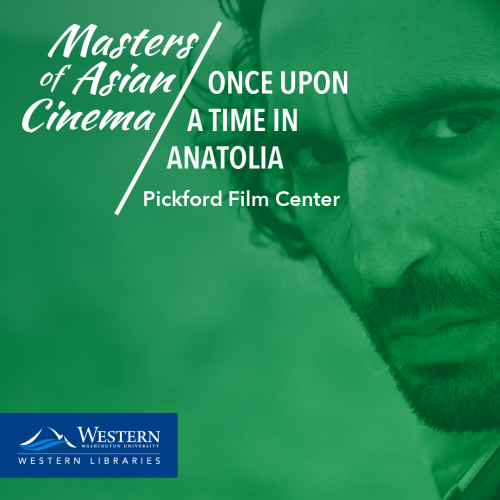 Once Upon a Time in Anatolia will be introduced by Eren Odabasi, Assistant Professor of Global Cinema in the Department of English at Western Washington University. His research and teaching interests include media policy and governance, diasporic filmmakers and audiences, and auteur theory. He has presented and published several articles on film festivals and transnational film production. As a film critic, he has been writing extensively for the Turkish monthly film magazine Altyazi since 2008. In recognition of his work in film criticism, he was invited to the Talents Program of the Berlin International Film Festival twice and served as a jury member in the Semaine de la Critique section of the Cannes Film Festival in 2013.